The ending of last week’s “Identity” was such a tantalizing cliffhanger because it seemed to leave Oliver with no way out. He couldn’t possibly hope to take down scores of cops, all with guns trained on him, so Oliver’s only chance of escape seemed to be to rely on his intelligence, to come up with some bold, bonkers gambit that would force Laurel and the Starling City police to let him flee. (Or Felicity could have hacked the lights or something; that was also a possibility.) But Oliver’s escape ultimately has nothing to do with him, as instead the blond, leather-clad vigilante appears out of nowhere, shattering windows and incapacitating cops with a sonic device. Dramatically speaking, this unexpected save is probably a cheat, but this is where superhero stories have an advantage. After her brief cameo in the season-opening “City Of Heroes,” this is the big debut of Black Canary, a character whose importance in the Green Arrow mythos is second only to Oliver Queen himself. What’s more, Arrow gets to reveal just how it plans to incorporate Black Canary’s famed sonic scream without violating the show’s grounded aesthetic, and this particular superpower stand-in seems so much cooler when its very first appearance is in the aid of saving Oliver’s skin. Maybe the rescue is a lousy resolution for what the cliffhanger set up, but it’s a hell of an entrance. “Broken Dolls” is primarily the story of the Lances, with Paul Blackthorne’s Quentin Lance taking on a greatly expanded role as the vigilante’s de facto sidekick. The episode effectively reaffirms the elder Lance’s role as the show’s conscience; unlike Oliver, Diggle, and even Felicity, he has just enough distance from the extralegal crime-fighting to judge whether it is really helping Starling City. As he says on the rooftop, he’s at least willing to be convinced the vigilante is a force for good, and he later tells Laurel that he’s far less particular about who saves Starling City, just so long as it’s saved. Admittedly, there’s room here to see Lance’s reappraisal in fairly cynical terms. After all, he risked everything to help the Hood and try to avert the Undertaking, and his superiors responded by demoting him and threatening to arrest him if he sticks his nose where it doesn’t belong. 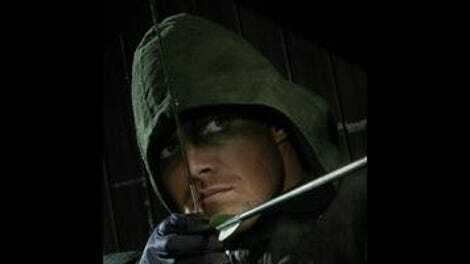 In that light, teaming up with Arrow might be seen as the worst kind of hypocrisy, a convenient violation of all the high-minded rhetoric he espoused back in the first season. But Lance’s decisions here always feel justifiable, even laudable. Some of that is because Lance is simply aligning himself with the show’s larger moral vision; Arrowfairly obviously condones vigilantism, so Lance is just getting with the program. But his vote of confidence in the vigilante and his new approach to crime-fighting still feels significant, and Lance’s most important symbolic gesture of approval comes when he gives the Hood his new name: the Arrow. Much like Black Canary’s big introduction,Arrow leans on the grammar of superhero storytelling, where names are always important, particularly when said name is so close to Green Arrow. It’s also worth recognizing how much fun Paul Blackthorne is in this role, combining a fiery moral righteousness with the speech patterns of hardboiled detective novels. It’s a goofy mix, to be sure, but much like Arrow in general, it’s just the right kind of goofy. Blackthorne can make Lance entertaining without having to incorporate the wisecracks of Diggle or the daffy one-liners of Felicity, which makes it that much easier to take him seriously as the show’s moral voice. His daughter, on the other hand, finds herself in the precisely opposite situation: Even when she might be right about something, Arrow has real trouble convincing the audience of her position. Admittedly, an anti-vigilante crusade is always going to be a hard sell in a superhero story, but last season did at least manage to find some nuance in her father’s opposition to the Hood, as the elder Lance’s utter horror at the Hood’s handiwork at the end of “Vertigo” was a particularly effective moment. These three episodes of the second season never really found a corresponding moment of clarity for Laurel, even amid her screwed-up grief and misdirected anger. Her entire story so far just seems designed to get her to the moment at the end of “Broken Dolls” where she realizes the Arrow truly is a good guy. But it’s inordinately brutal that such awareness should come after a serial killer almost fills her esophagus with hardening fluid; Laurel suffers so much and gets to do so little about it, all just so that she can admit she was wrong and everyone else was right. The best that can be said for Laurel so far this season is that Arrow is doing enough other things well that I don’t especially mind her presence. The fact that Barton Mathis only wants to kill her in order to destroy her father’s soul might make the already shaky handling of her character even more questionable. I say “might” because the Mathis storyline generally feels like such an uncomfortable fit for Arrow that it’s difficult to judge its individual aspects. The uncatchable, theatrically macabre serial killer is a different kind of pulp than what the show normally traffics in; it’s as though “Broken Dolls” got some Dexter or The Following in my Arrow. Some of that is an objection to the episode’s unprecedented grisliness and its morbid fascination with Mathis’ ghoulish crimes, but this isn’t just a matter of aesthetics. While it might be plausible that Mathis can outwit Oliver and company, it’s much harder to believe that he could outrun or even overpower the likes of the Arrow or Black Canary, yet Mathis manages to evade all pursuers until the plot demands it’s time for him to be arrowed and subsequently killed. The episode tries to cover this by distracting Oliver with Felicity’s head injury and generally making Lance the primary adversary for Mathis, but the show still never properly balances Oliver and Mathis as opponents. Really, that speaks to the major problem with “Broken Dolls,” as a few too many things happen simply because it’s what the show’s larger story requires. Some of that works, as with the introduction of Black Canary or Officer Lance’s decision to throw in with the Arrow. Some elements might work in narrative terms but lack the needed emotional aspect—pretty much everything to do with Laurel falls into that category. And sometimes the show appears to be marking time. We’re not talking about multiple episodes’ worth of delaying tactics, as was sometimes the case last season. But consider the final showdown with Mathis, in which Black Canary gets trapped under a whole bunch of seemingly heavy beams. It really looks like the kind of injury that would knock her out, yet she’s able to deliver the killing blow to Mathis and disappear from the scene in the mere moments that Oliver has his back turned. It’s a chain of events that occurs not because it really makes much logical sense but because the plot demands that both Oliver and Black Canary must play a role in Mathis’ capture, but their actual confrontation needs to be saved for the next episode. As storytelling sins go, it’s forgivable, particularly when it occurs within the context of a generally entertaining hour of television, but there are a few too many storytelling compromises here to consider “Broken Dolls” anything more than a mild success. I must once again register my general happiness with Thea and Roy’s subplot. There’s some nice, relatively subtle storytelling in what’s going on with the missing champagne, and the big chase featuring Roy and Bex Taylor-Klaus’ Sin is nicely shot, even if the sequence does seem a little too convinced of parkour’s continued coolness. The prosecution is pushing for the death penalty for Moira Queen, and she seems pretty much okay with it if it means she can die with her children loving her. I’m really not sure where Arrow is going with this subplot in narrative terms, but Susanna Thompson is doing a good job making the emotional beats work so far, even if they’re theoretically a bit overwrought. In rather exciting news, DC Comics heavy-hitter Ra’s al Ghul gets name-checked at the end of this episode, as Black Canary is told it’s time to return to the fold; as might well be expected, she doesn’t take this news very well. The introduction of the League of Assassins—renamed the League of Shadows in the Christopher Nolan Batman movies—also helps explain the “them” to which Black Canary referred during her interrogation of Roy. The flashbacks keep chugging along, as Oliver finally gets off the island, albeit in a cell on a mysterious ship that appears to be called Amazo. Slade also seems to be falling apart both emotionally and, if his clear pain during the shelling sequence is anything to go by, physically. But really, the important thing here is that we’re one big step closer to Oliver’s true destiny as a captain in the Russian mafia.